I was lucky enough to climb Cotopaxi, one of the world’s highest active volcanos, way back in 2011. It was a really interesting climb, covering some pretty terrifying crevasses but thankfully nothing technically limiting me from reaching the summit. Years later, it’s come to life, so let’s see what we can see shall we? First port of call when I saw pictures of the plume was to head straight over to the USGS earth explorer portal which is a staple for any Earth Observation research. 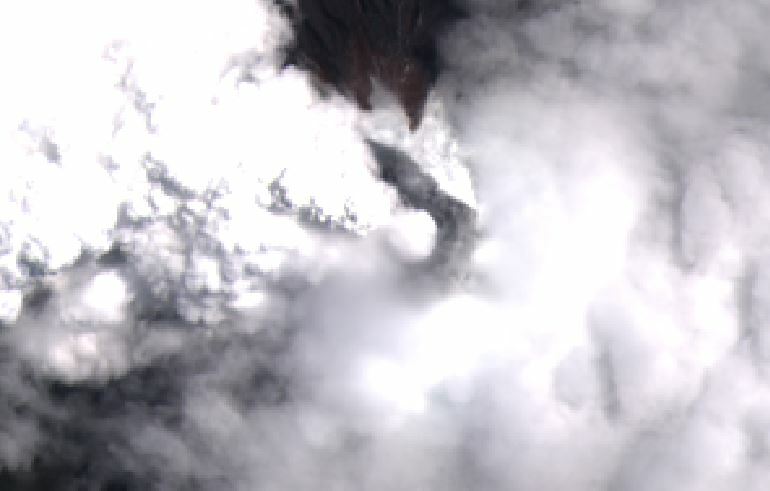 From the quickview jpg shown below we can make out some clouds above the crater, though hard to distinguish from the surrounding area whether it’s a plume or not. 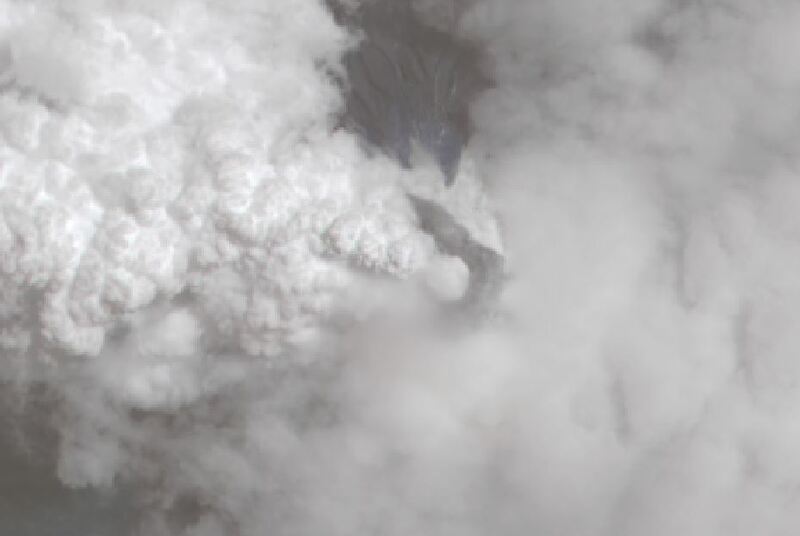 We can see from the metadata that the exposure was taken at 15:35 GMT, from reports I quickly sought around the web the plume seems to have been pretty big by then (For eg), which means the plume should be visible! After downloading the landsat 8 scene from the portal I reproduced the ‘quick view’ RGB composites that are viewable within the explorer (Albeit without the same contrast balance, using the much loved imagemagick program) and went about locating the crater. Wow! Certainly looks pretty active from here! We can use the ‘panchromatic’ band to sharpen the image a bit, as it’s at a higher resolution (15m) then each of the individual color bands (30m). Good tutorials on this process exist. We can further enhance contrast to try and make the whole thing a bit more intuitive to look at. 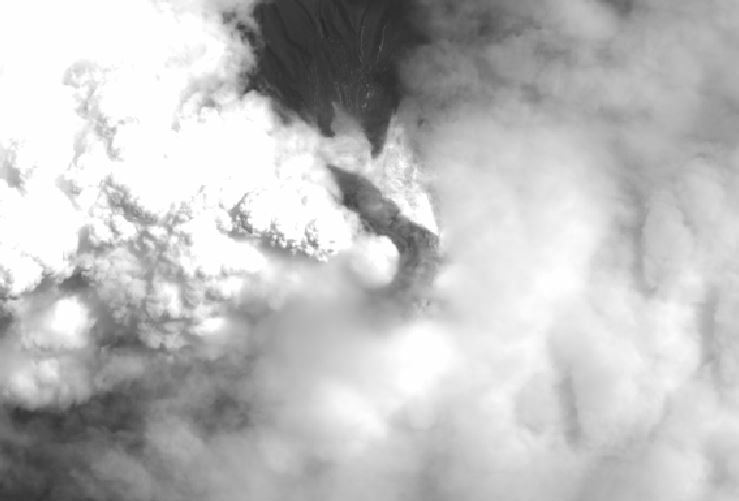 I’m going to continue keeping an eye on it for the next exposures, Landsat 8’s revisit rate is 16 days so the plume may be dispersed at that stage. I’ve started becoming a big fan of Torralba’s work, he just seems to be able to identify really simple things and write very elegantly about them! The latest paper of his I’ve become interested in involves a good discussion on how many pixels are required to make up an image. This has very important consequences on choosing resolutions for satellite/robotics applications, and the graphs showing how segmentation improves with increasing pixel count/resolution are a very succinct way of describing the experiment. Picked this up off twitter – some really amazing footage of Patagonia, brings back memories from when I visited 4 years ago! Timestorm films have many other really amazing timelapses using their high quality cameras, check them out if you’re interested!